I have a couple of Christmas cards to share with you today, as I have been really trying to get the bulk of them made before the busy summer months are here. To date, I have made about 60, so I'm doing pretty well. For this card, I used my homemade wreath builder template. If you want to know more about this template, you can check out my post here. The label for my sentiment is from a Spellbinders die set called "Fancy Tags." I popped it up on foam tape and added a Nuvo drop on each side. As you can see, I used a couple of different "greenery" stamps and stamped them in different shades of green to create my wreath. Then I added some red berries with Nuvo drops and a narrow ribbon bow. On the inside of my card, I stamped an evergreen border (by Stampin' Up, I think) and then added a Penny Black stamped sentiment. This card was made with an unbranded die. This border die is so pretty that it really doesn't need much else. The stamped sentiment (not sure of the brand) was heat embossed with red EP. I added some red sequins, even putting one at the center of the poinsettia. The inside of this card is very simple with just a stamped sentiment. This is an older stamp that I picked up at the thrift store, so I'm not sure of the brand. It feels so good to have a substantial start on my Christmas cards. I am hoping to avoid the November panic to get them done. Our company from Germany will arrive at the end of April. They will be staying for a month, so I may not get quite as much crafting done while they are here. I guess I'll have to be a little more attentive to cooking and cleaning (oh, joy!). I hope all of you who celebrate Easter have a lovely holiday weekend. We are promised some warm, sunny weather here, so I plan to make the most of it! I thought I would share a couple of quick Easter cards that I made for the thrift store where I volunteer. They've been selling out every week for the last 6 weeks or so. 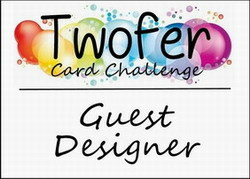 These two cards were made with a couple of the felt bunny stickers that I had left over from last year. I definitely got good use out of those stickers. There is only one left. The fancy doily die-cut on the green card is one that I got at the thrift store. I'm not sure of the brand, but I think it might be Impression Obsession. It's very delicate, so I used some spray adhesive to apply it to my card. On the inside I used a computer-generated sentiment. For this card, I added some scalloped borders (Fiskars border punch) on each side of my DSP (Stampin' Up). My Happy Easter die-cut is unbranded. A couple of self-adhesive pearls along with my bunny sticker completed this card front. I added another computer-generated sentiment on the inside of this card. Tomorrow I will be doing a little baking (Lemon-blueberry upside down cake and caramel rolls) and getting ready for Sunday. We will have some family join us for brunch. I plan on making three different kinds of quiche: sausage and cheese, artichoke heart and roasted red pepper, and spinach and crab. We'll also have bacon, sausage and a big fruit salad. I baked some banana bread today, which I'll serve with the caramel rolls. And to drink I'll serve some juice for the kids and mimosas for the adults (along with coffee and tea, of course). I'm looking forward to having the upside down cake for dessert. I hope it's good, as it is a new recipe. May your Easter be blessed with all good things. Thanks so much for stopping by, and remember to laugh--a little or a lot--every day. 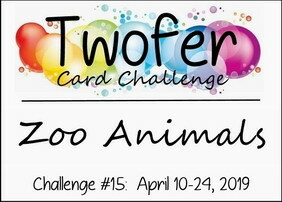 I really wanted to join in on the latest challenge over on the Twofer Card Challenge blog, so I did a search through my stamps and dies looking for a "zoo animal." I had some small dies of a lion, elephant and giraffe, but they really didn't inspire me. Then I came across a really old stamp of a bird--a parrot I think. The stamp set lost its packaging long ago, so I have no idea which company sold it. The parrot spoke to me somehow, and I know I've seen parrots in zoos, so I decided to give it a go. I googled some parrot images to see how they were colored, but decided to just "do my own thing." So be aware, these parrots are uniquely colored! I started my cardmaking session by stamping the parrot a couple of times on cardstock and then once on a silicone craft sheet by Stampin' Up. Immediately after stamping it on the craft sheet, I applied a piece of cardstock to it to pick up the stamped image. This gave me the parrot image in reverse, so that I could have two parrots looking at each other. My sister gave me this craft sheet a while ago, so I have to say a public "thanks" to her for this useful gift. You can see what it looks like in the photo on the left. It's about 6" square. I colored my parrots with ProMarkers and fussy-cut them out. I used a couple of unbranded dies to cut the twig wreath and the branch. The hearts actually came from a border die. For my background behind the parrots, I sponged on some blue ink and then used a Stampin' Up wooden stamp to add some speckles using the same blue ink. Here you can see that my parrots are popped up on foam squares. This is an anniversary card for my DH, so I stamped a simple sentiment on the inside. Our anniversary isn't until next October, so I'm definitely ahead of the game with this one! My second card features just one parrot and is blank inside. The little butterflies were sent to me by a friend, and I think they were cut with a punch. Not sure, though. The branch on this card was cut with an old Quickutz 4x4 die that has three different branches on it. You can see that I've popped this parrot up on foam squares, too, for a little dimension. These cards were quick to make, and it was fun to dig out a really old stamp set and ink up this funny little parrot. Our snow has mostly melted now, although the tulips and hyacinths are still shivering through the chilly evenings. I really hope there are no more wintry forecasts until next December! I wanted to use a stencil on a card for today, and in looking through my (very) few stencils, I found a pretty, never-used heart-patterned one that I decided to try. So, I thought, why not make a Valentine? It'll be here in a mere 10 months, right? I started by taping my stencil down on top of my rectangle of white cardstock. Then, I gathered some inks that ranged from a medium pink to dark red and began sponging them on top of my stencil creating a subtle ombré effect. Once I was done inking my stencil, and before I removed it, I pulled out my lo-o-o-o-ng neglected Tattered Angels Shimmer Spray, and applied a few good spritzes of shimmer. I think you can see some of the shimmer in the photo above. To finish off the front, I cut a banner (La La Land die) and stamped it with a Fiskars sentiment. I also added a few iridescent sequins for some additional sparkle. On the inside of my card, I added a couple of Recollections (I think) stamps. I was actually happy to see that the heart stamp didn't produce a solid red image, but left an ombré graduation of color. I had so much fun using this stencil, that I plan to make a few more of these closer to Valentine's Day 2020. I'm entering this card into the challenge over on The House That Stamps Built: Use a stencil. 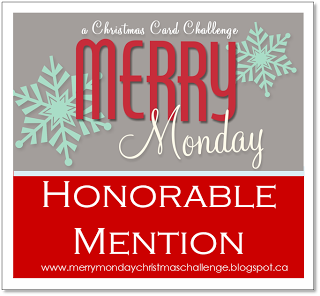 Shirley, owner of the Glittered Paws blog, inspired me to take part in this challenge, and I'm so glad she did! This is a super simple card where I've downloaded an Easter image from free clipart and then printed it out on cardstock with a laser printer. Once it was printed, I laid some heat reactive gold foil over the top of the image and ran it through my laminator (a very inexpensive one I found online). Once that was done, I used an unbranded die to cut the word "Easter" from gold metallic cardstock. I also heat-embossed the word "Blessings" with some gold EP on white cardstock. I cut that word out and popped it up on foam tape. I thought maybe you'd be able to see the shimmer and shine, if I took a sideways photo, but I guess it really isn't any better. Trust me, though, there really is a rich gold shine to all the elements. I also heat-embossed the inside sentiment with gold EP and then cut it out with a stitched rectangle die. This was definitely a simply designed card, using only the two colors, but I quite like it. I hope you do, too. We are once again bracing ourselves for inclement weather. In fact, news of the impending snowstorm was even included in a recent issue of the New York Times here. I am supposed to be volunteering at the thrift store on Thursday, but if the weather is as bad as they predict it will be, I'll stay home. My tulips, narcissus, and other spring flowers have tentatively poked their heads out of the ground. They are in for a rude awakening tomorrow evening when that snowstorm hits!! Can you believe we have already sailed into April, 2019? And that means it's time for another challenge at Let's Craft and Create. You can always enter with an "Anything Goes" project, but our special theme this month is "Beautiful Butterflies." I was pleased to see the butterfly theme because I have so many butterfly stamps and dies, and, frankly, I just love butterflies. I wish we saw more of them in the city. We occasionally get Monarch butterflies in our back yard, but not many others. I have an unbranded butterfly stamp and die set, and decided to use that for the focal point on my card. I stamped and then heat-embossed my butterfly with weathered white embossing powder. I like to use this EP when I want a more dimensional look. The pearl "trail" is from a set of pink pearl flourishes that I won years ago on a product blogsite. It was so long ago that I have lost the packaging and can't remember which brand they were. I also added a couple of punched butterflies (Fiskars), each with a single pearl, and two more flowers that I fussy-cut from my sheet of DSP. I think you can see in the photo that they've been popped up on foam squares. Here's another peek at my butterfly. After heat embossing it, I used my watercolor pencils to add some color that coordinated with the rest of my card. Folding back the two edges of my DSP to create the "opening" for my pearl butterfly trail was a bit tricky. I tried to roll the paper so as not to have creases, but as you can see I wasn't that successful. I guess I should have fussed with it a bit more. I added some narrow strips of double-sided foam tape underneath the flaps at the fold to keep my DSP from creasing too sharply and to hold it in place. I don't know how it will stand up in the mail, though. My card may end up with sharply creased DSP by the time it reaches its destination. I used some stamps from a couple of different sets on the inside. I also added the scalloped border (Fiskars) and a few more fussy-cut flowers. Now I hope you'll join our Beautiful Butterflies (or Anything Goes) challenge for April. You'll find the details and lots of inspiration here. I have a few more Easter cards to share with you today, but first I wanted to tell you about a new Pinterest board I created. I have, over the last few months, fielded several questions from Facebook cardmaking sites about how to dress up the inside of a card. I would most often direct the asker to my blog and tell him/her to page through to see the different layouts and techniques I've used. I realize, however, that it can get a bit tedious to page through someone's blog, so I decided to create a Pinterest board with nothing but examples of what I've done on the inside of my cards. I call it "Card Interiors." I created this board for myself as much for anyone else. I feel like I've been neglecting my card interiors lately, and it was actually inspiring to see all the different things I've done in the past. It even sparked some new ideas to try in the future. I just created this board two days ago, and it already has 29 followers. I was very pleased with that, as it says that people are finding it helpful. If you're interested in taking a peek at it, you'll find it HERE. For this card, I cut my DSP at an angle and finished it off with some paper lace, cut with a Marianne Designs die called "Border Stitch Lace." It's one of my favorite lace dies, even though it's very simply designed. My flower is from a layered stamp set that is unbranded. I added a little bit more highlighting to it with some colored pencils. My butterfly is one from a set of nine butterfly dies by Ellentina, and I've added some Nuvo drops to its body. I wanted to see if I felt any differently about the card if I slanted my DSP the other way. Nope! It seemed okay to me either way. This card has another layered stamp flower and Ellentina butterfly. Finally, I tried cutting my DSP straight across, but I think I like the slanted cuts a little better. Well, that's it for me today. I need to get back to making some notecard sets that I'll be donating to the thrift store. I'll share those on a later post so you can see what I've been up to.